I have a Chrysler Concorde 1999, 2.4 L engine, auto transmission and sometimes I see blue smoke coming out of my tailpipe when I push the gas pedal then as I speed up it disappear! It happens usually when I push the gas pedal totally. What is wrong and how much would it cost to fix it? Sounds like the Valve Stem Seals. All it is is oil getting into the combustion chamber and being burned. And as long as it is not to bad I would be to concerned. If it is of concern to you the repair cost could reach $1,500 or more. And that would depend on whether the garage pulls the heads off to do it or not. If they don't pull the heads it could be as low as $500. Thanks for the reply. May I ask some questions about this problem? 1, How much would it cost approximately to fix the bad valve part? Is it 1500$? OMG! 2, How much would it cost around to fix the piston rings? 3, How much would it cost to get the engine rebuilt? Or maybe I should get a new engine? 4, Is there anything that I could do to slow down the deterioration of my engine? For instance change oil and use STP oil treatment, or drive carefully not to use intensively the car or maybe oil flush? Thank you again for your fast answers. I will bring my car to another auto care center to test my engine and identify what the problem is. So I don't know maybe it is valve problem maybe piston rings or I was told it can be something else. I will ask them about the air pressure option I hope they can do it and it's gonna be cheaper. I do not trust on one or two mechanic's opinion! They always try to get my money as far as I experienced! I live in TX but they are the same everywhere. One more thing could you estimate how much time or how many miles could I have left before my engine would die? I have 1999 Chrysler with 106500 miles. I know it is hard to estimate without knowing the current status of the engine but I would like to know what is the worst case and best case scenario since if it last like 5000 or 10000 miles or 1 and a half year more than I would just use STP additive and extra care. I do not know is it worth repairing it or not. Here is what you do. When you take the vehicle in just have them check out the engine and ask them about the blue smoke and see what they say. Then if they say you need vavle seals replaced get a price then ask them about the how they will do the work. Depending on what they say the condition of the motor is it could last you another 100k or more. There are a lot vehicle on the road that have over 250k miles on them. I will get an appointment in a car care center and let them check the engine with their fancy computers and ask them about the blue smoke and the possible repair including the method and price. Then I ask them about the pressure the cylinder method maybe it would be cheaper and they could do it. Then having the information go to another service place and ask them about the same stuff. And after it call some other repair places and ask them what they could do. So that I will get full information about the prospects of my car and possible repair options. If the condition is not sewer I think I will not get it repaired. I'm a student at university so I don't have 2500$ to do the engine work. Either way I'm gonna get checked my car and I need to change oil and oil filter so I ask them to get STP oil treatment into my engine and a engine flush too. I hope they will do it not just say it and ask the money for it. I have had very bad experience with mechanics. I'll keep you informed. In the next couple of weeks I will bring my car to get checked. Sorry for my quite late reply. So I got checked my engine for blue smoke and they did compression test. I was told from my 6 cylinders one has week compression thus worn piston rings can be the problem. I got BG engine clean because it is possible that some carbon or other contamination prevents the rings to do what it needs to do. So I got oil change. I was gonna ask synthetic oil because that does not burn as conventional oil (no blue smoke) but I was told it would be better to use conventional oil with BG additive (BG RF 7) that helps seal rings to increase compression and reduce blow-by. BG RF-7 contains additives which keep the engine oil from oxidizing or thickening, and it protects internal parts from corrosive damage. 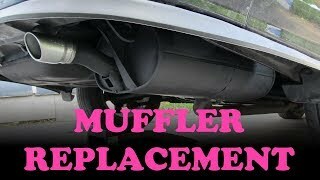 It will help reduce oil consumption and exhaust smoke and will reduce lifter and valve noise. BG RF-7 is compatible with both synthetic and petroleum-base oils. It is better now and I hardly saw smoke but today I saw the smoke again. Maybe because it was hot day I don't know. SO I guess I still have the problem. Do you think synthetic or synthetic blend oil would reduce the smoke? Bad piston rings mean less horse power too? The car runs good and then engine is fine I am just curious. And the most important question is can bad piston rings cause engine failure so can I brake down because of this smoke blow by problem? Yes, bad rings can reduce power. Do you think you can do a test on the cylinders? If so you will need a Compression tester. Then remove one plug and install the tester disconnect coil power then turn engine over for about 5 seconds write down reading and cylinder number. Then remove tester and with an oil squirt can squirt some oil into the cylinder and repeat test and write down reading. Do this for each cylinder and post. What you will be doing is call a dry and wet test. This will tell if you have bad rings or not. If reading remain the same then rings are good. If reading are higher when oil is put into the cylinder then rings are bad. So I got the engine tested. It had wet compression test. I did not do it because I have neither tools or garage to do it. So I got V6 2.7L Engine with 107000 miles. I was told that on the driver side I got low values thus it is bad piston rings or valve seals problem. This is why I got BG RF-7 additive to maintain oil pressure and reduce oil consumption. In terms of power the engine runs well and I feel it is powerful enough. -I know there is no magic potion that could fix this problem because the engine should be replaced to fix this but do you think the amount of smoke could be reduced if I used synthetic blend oil that is mixture of conventional and synthetic? To have synthetic oil change every 3 month/3000 miles it is quite expensive not to mention I would use more oil due to this problem but perhaps blend would at least hide the problem/smoke. -My other question is the most important. Can I brake down due to this piston rings related problem? Ok, the smoke problem won't be cured no matter what you do concerning the Oil. A heavier oil may reduce the smoke but it will still be noticable. As far as leaving you stranded, yes it can. If it is the rings they will continue to deterierate and possibly break at some point. Could be a week or a month may be longer, it will depend on how fast they break down. SO the bottom line is it's a time bomb. I asked this brake down possibility because I also asked my mechanic and he said because that problem my car would not brake down on the road. So now I have two opposite opinions. I think I will ask other people too. -If the engine can fail due to worn piston rings Is there a sign that shows is it close to total piston rings brake? More smoke strange noise, knocking? Now it runs well and doesn't have bad noise. If it has at least 10 000 miles in it than I would not worry too much. I would make it painted in Maaco for 1200$ (I got a quote from them, 'supreme' paint with 4 year warranty) and I would use it for 1.5 year more. -Can I decrease the rings deterioration somehow? Additives, slow driving or not accelerate fast? Sorry for my lot of questions but for me it is essential to know what my possibilities are. You already have a couple cylinders that have low compression. Now when any other 2 drop there compression to the same values your engine will pretty much be done with. If it is the rings. I honestly am not convinced that it is the rings. If it is the valves then it most likely you won't break down. Possible causes for a low compression condition are: burned intake or exhaust valve, broken piston or piston ring, broken valve spring or a blown head gasket. One question if you can answer. Was a dry test done? I ask because if both tests were done and there was no change in the values then it is not the rings. No worries about all the questions that is what we are here for. Well last time I was told by my mechanic that he did not think I had worn piston rings with this engine and mileage (107.000 miles). He said he thought I have valve seals problem or blown gasket perhaps some debris doesn't let the valves work correctly furthermore that engine (2.7 V6 Chrysler) is tend to get oil sludge so he suggested having another engine clean (BG product) before oil change and he said I should use the BG RF-7 oil additive too. I will ask him about the wet/dry test. Perhaps they didn't do the dry test just the wet test. Another recent bad thing is today I wanted to go to work/school and my car did not start. I knew it was the battery because sometimes the internal lights are blinking during driving and at night when the car is parked. I cannot control it so it drained the battery. After I got jump started the car it ran good so I got it to my mechanic who did not find anything yet. He said he needed more days to find the problem. WHAT A HECK CAUSES THIS PROBLEM? Perhaps bad fuse? The battery was tested 1 week ago and it was fine. Can I just take out the fuse that is responsible for the internal lamps? Or it would do more harm? Thanks for your time, help and patience! The interior light problem could be a short in the door switch/button. On the BG RF-7 oil additive, I don't kow anything on it so I cannot recommend or not recommend the product. If you mechanic says it is a good product then use it. The only additive that I could recommend that is similar is a product called Rislone. I will bring my car to oil change soon (3 months is almost over although I drove just 700 miles) and I was wondering is there any way to check there is excessive oil sludge in the motor? I checked several forums and 90% of the times engine failure was caused by oil sludge. I took of the oil cap and looked inside and took sample with my finger from inside from the very the top of the engine but I didn't find sludge. I had BG quick clean I don't know is it the same as engine flush or not. Anyway I was told by my mechanic we should do it again. How could I get rid of the sludge safely? I heard flush can kill the engine (clog oil passage). The best way to check is to pull a valve cover off and inspect the oil drain holes in the head. The BG quick clean is about the same an engine flush. As long as the flush is done correctly and not done but about 2 times a year you should be just fine. And flush won't clog the oil passages. Flush disolves the slug and breaks it up. I'm sorry that I bother you again but I would like to ask an expert so I would turn to you. So I have a Chrysler Concorde 2.7L V6 car that has 107600 miles and it was made in 1999. You might remember that my car has suspicious blue smoke and I got compression test and it turned out I got low (but not terribly low) compression on two valves. You can look back our conversation too. So I have been using BG products since 2 oil changes. (BG oil treatment RF-7, and BG Engine quick clean). I drove 900 miles in 3 months so I got another oil change with BG products again. I moved to a different place so I assume will go 1500 miles in 3 months. This engine requires extra care (sludge cleaning) and 3 months/3000 mile oil change. So I change it due time. To be honest I experience better performance, smooth run and much less smoke and I drove less then 2000 miles so I guess BG products help. Of course I also use Lucas fuel injector cleaner every oil change. Anyway today I got check engine light (yellow) and I was freaked out so I went to auto zone to read the computer for error code. I was told my o2 sensor has problem (bank2). The guy told me it is not a big deal. According to him I will not break down because of bad o2 sensor. That sensor in bank2 was changed in 11th of November, 2008, 5500 miles ago. Do you think it should have last more? I think it went wrong because my possible bad valve seals or worn piston rings (lower compression) that lead to excessive oil consumption although BG products + Lucas treatment decreased oil consumption significantly. The guy at auto zone reset my car's computer and said if the problem came back I should change it. He said if the problem did not come back I would not need to worry. He also told me that he had driven his car with bad o2 sensor for 6 months and nothing bad happened. 1, Is he right that I will not brake down because of this? I mean what if I don't change o2 sensor now just 2 month later? I think catalytic converter can overheat or not? 2, Why did it go wrong? Ok, first off would need the actual code. With your car you possibly have 3 or 4 O2 sensors. So, it may not be the one that has been replaced. I have known many people drive around for months and up to a year or so before changing and O2 sensor. The biggest thing with the O2 sensor is you will most likey notice a drop in your fuel milage. Yes you should be able to change an O2 sensor yourself. They are pretty similar to a bolt, except they have wires coming out of them. They do make a special socket for removing them, the only problem is with the location of some one the sensors it is nearly impossible to get the socket on them. Now with your other problem, it could cause the failure of the O2 sensors and cause a cat failure and overheat. So my computer was reset in Autozone thus check engine light is gone now. I drove my car like 30 miles and it did not come back yet but I guess it will. My mechanic told me people at Autozone were idiots. According to him they don't know what are they doing. He said I needed to bring my car to him and he would connect my car to his big computer for 70$ to see what is going on and figure out why it went wrong. He is right because the problem needs to be fixed not the symptom but I don't get this o2 sensor. If it is bad why the check engine light did not come back immediately or after 10 miles? Now it seems it's working. My mpg is 24.2 (mixed driving) and increasing since I have been driving carefully! It is a 2.7L V6. If the o2 sensor would be dead shouldn't the check engine light come back immediately and shouldn't my mpg would be much worse? So do you think I should just change o2 sensor for 70$ in my garage or go to my mechanic do a test for 70$ and if just the o2 sensor is bad pay like 100$ more (parts+labor) for repair and if for example the cat is bad too to change that it can cost a fortune. Just wonder what could cased the problem and how much would it cost to fix it. Usually what makes them go wrong? Ok, well as far as your mechanic saying the people at Autozone are idiots and don't know what they are doing, well they are not idiots and they are not mechanics they are trained to use the code reader and all they can tell you is what the reader has read from your computer. Your mechanic just wants the $70 for reading they codes. We tell you to go there and have codes read and post the codes on here so we can help determine the cause of the code. And get the info and assistance on getting it fixed for Free. As far as the O2 sensors and setting codes, yes in most cases it will set a code. However, if it is only failing at times or intermitantly is will only set a code when it fails temperarily. So, it may have only failed just long enough to set the code and turn engine light on. And normally it will take up to 1000+ miles or 100 - 200 key starts to reset code on it own. Cause like I stated in previous post your vehicle has from 1 - 4 O2 sensors. I read about o2 sensors on the Internet and having you explanation too I think I know what happened and what is going on. Please feel free to correct me though! My o2 sensor did not work correctly for like 1-2 sec so it made an error code that made check engine light come on. When my computer had been reset the check engine light did not come back (yet.) So it means o2 sensor is not 100% bad just it is wearing out so every now and then it cannot operate properly. So perhaps it works like on 90% and not on 100% as it should. (I assume it is going to come) I will go to Auto zone to read out the code and post it for you and discuss what can I do and what the problem is. As far as number of o2 sensors I think I have four. I saw two on the side of my engine (left and right). I think those are the o2 sensors before cat and I assume there are two more after cat under the car.